The cover of Native Tributes features the work of Rick Bartow, a Native visionary painter and imagistic storier of survivance. 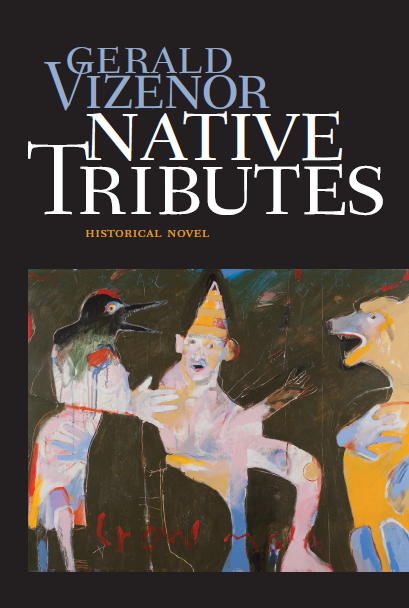 Gerald Vizenor’s historical novel, Native Tributes, will be published in August 2018. And here is one important reason why you should read it: Native Tributes will encourage you to re-visit the aftermath of World War I – from a Native American perspective. The United States Congress passed the World War Adjustment Act on Monday, May 19, 1924. Five years and hundreds of promises after the armistice of the First World War, and hardly anyone noticed the war bonus legislation that most veterans turned down. The Bonus Act provided only limited loans, not a real bonus of cash, and the loans would be deducted with interest from final cash payment in some twenty years. The Bonus Act empowered tricky loans, and rightly named the Tombstone Bonus because most natives would probably be dead by the time the government dealt with payments. Vizenor narrates the Beaulieus’ participation in the March with a mixture of sadness and gentle humor. The experience of the Bonus Army is filtered through the brothers’ perceptions and through a series of personal episodes featuring beautifully crafted hand puppets, diva mongrels, and By Now Rose Beaulieu, a Native who rode a horse named Treaty from the reservation to the National Mall. However, there is an overarching sense of the terrible and lasting impact of this war on all cultures, not only in Europe and America (Pankaj). Vizenor’s historical novel highlights the link between Euro-American colonialism and global politics that climaxed in two world wars, ushering in the fascist regimes of modern times. Please visit Gerald Vizenor’s works and words at: www.geraldvizenor.site.wesleyan.edu/. 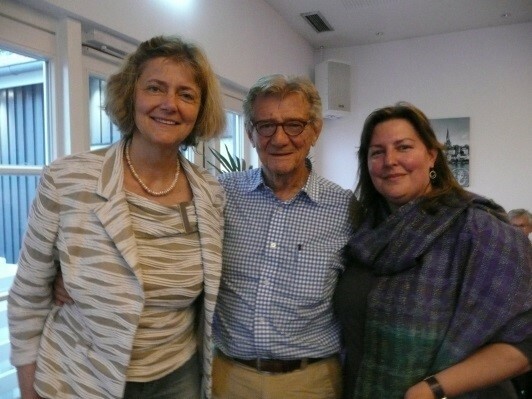 Personal note: I’m indebted to Gerald Vizenor for sharing his ideas with me in an interview and in his essays – and most of all for always being a patient teacher.